Let's face it, there are only 24 hours in a day. Even on Christmas Eve. Maybe especially on Christmas Eve. If you know you won't be able to do everything on your list, then take a few minutes right now and figure out what you really need to do. Then scratch everything else off your list. Maybe you wanted to bake a few more recipes, but you really need to wrap gifts for Christmas morning instead. Unless your baked goods are going to be the only thing being served, let the baking go and focus on wrapping your gifts. If you wanted to make some cute crafty labels and hand-made bows for your gifts, but you need to assemble a train set for a Santa gift, stick on a store-bought bow and a peel-n-stick label, and get that train set put together. Today is not the day to try to have a Pinterest Christmas. Keep things simple. Focus on what's important. Priorities. They will be different for everyone. But make sure you do the most important things for you and your family before you spend time on anything you would "like" to do instead. If you're running around like a crazy person trying to finish everything, you'll end up forgetting things, or making mistakes, which can set you further behind. Or you can get frustrated easily with your family. People are more important than things or traditions. Do what you need to do to stay calm and enjoy the people around you. Take a short nap. Have a cup of hot chocolate. Sing a few Christmas carols. Think about some of your favourite holiday traditions. A short mental health break can actually help you be more productive and enjoy your last-minute preparations with those around you. Update: My friend Kelly from A Lovely Life Indeed posted this beautiful quote on her blog today and I asked her if I could share it with you because it fits so perfectly. Thanks Kelly! Instead of looking at your to-do list as a bunch of chores to get through, focus on the love that you have for the people you're celebrating with. It helps you enjoy the process more and you'll feel energized instead of drained. I've been trying to do this with my kids the last few days. It helps me as much as it helps them to think about others instead of ourselves. We've been talking a lot about hospitality and serving others. So as we bake, we're thinking about the people who will be eating the yummy things we make, and how those treats will help them enjoy their Christmas, because they know we made everything for them. As we wrap the gifts we've chosen, we talk about how much the recipient will enjoy that gift or how surprised they will be when they open it. Whatever your beliefs about Christmas, it's a time of love, joy, and peace. Help spread those qualities in your home and family, through everything you do as you prepare for and celebrate together! 4. Get a good night's sleep! The best way to really enjoy your Christmas is to get a good sleep tonight. 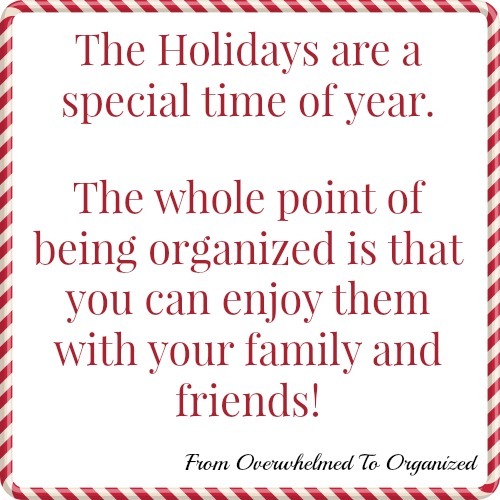 All your hard work the last few weeks has paid off and you are as organized and prepared as you'll ever be. So celebrate by sleeping. If you've got young kids you know they'll wake you up early enough in the morning! Being well rested will help you execute everything you've planned ahead of time. And that way you can enjoy your day with your family and friends! You've seen this quote throughout this series, but I really believe it's true. Now is the time to enjoy the fruits of your labour! 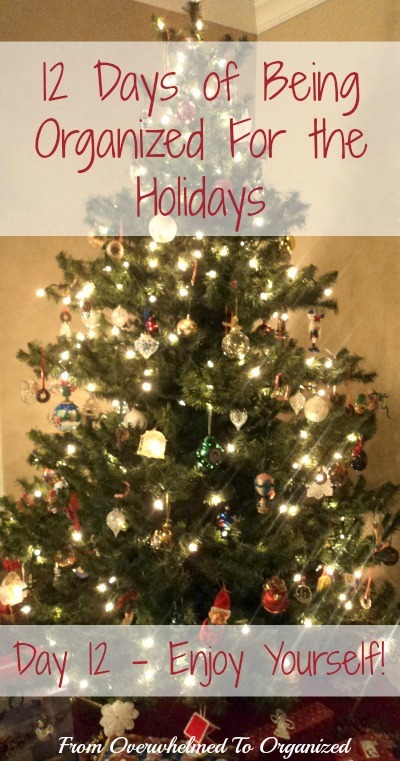 I hope these last-minute tips, and all the other tips shared throughout this series, help you have a wonderful Christmas with your family and friends! Merry Christmas! What are you doing to prepare for Christmas today? What are you doing to enjoy the holidays with your friends and family? Do you have any last-minute tips to add? Good reminders, especially prioritizing and breathing! 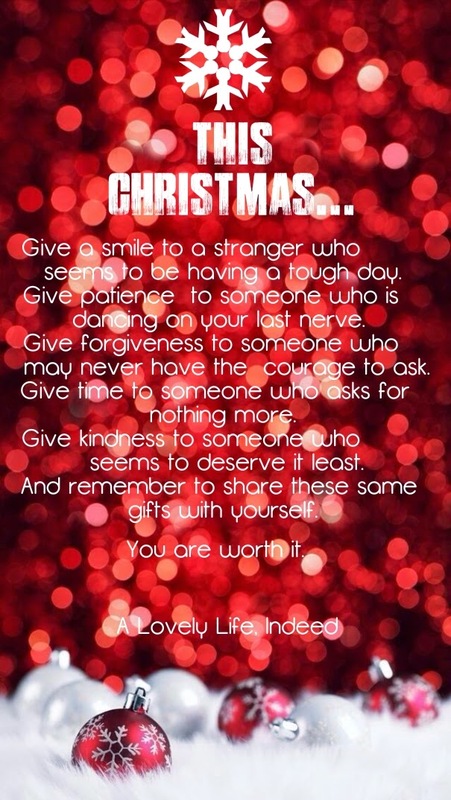 Tomorrow begins the 12 Days of Christmas and we plan to make the most of every minute. Merry Christmas! No tips and just cleaning out the closet (New Year's Eve is our next festivity) but just came by to say hello & see your great tips!